Loreburn supported housing development wins CIH award. A supported housing development for people with disabilities in the Dumfries and Galloway village of Beeswing has scooped a top national housing award from trade body the Chartered Institute of Housing (CIH). Hallam House, which was built by Loreburn Housing Association with additional funding from the Scottish Government and Dumfries and Galloway Council, consists of five purpose-built supported housing units for people with profound and multiple learning disabilities and has a dedicated staff base. It provides local specialist care for people who previously had to be moved outside the area because of a lack of suitable supported accommodation. The development scooped the Excellence in Development for Rented Properties Award at the CIH Excellence Awards categories on Friday (11 November). 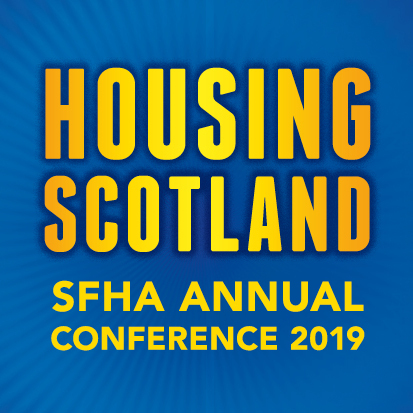 Loreburn Housing Association, which manages around 2,500 homes across the region, has had a remarkable turnaround since coming out of a two-year period of intervention by the Scottish Housing regulator in 2015. As well as the award for Hallam House, the organisation also reached the final in two other categories: Housing Team of the Year, and The Robina Goodlad Excellence Award for Women Achievers in Housing (for Chief Executive Lorraine Usher). “Hallam House is a unique example of partnership working at its best, and I was delighted to see it recognised by the Chartered Institute of Housing. Pictured: The Loreburn team with their award.